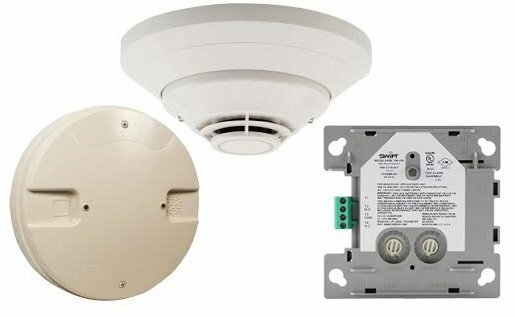 Reliable wireless fire detection fully integrated with ONYX® fire alarm systems. 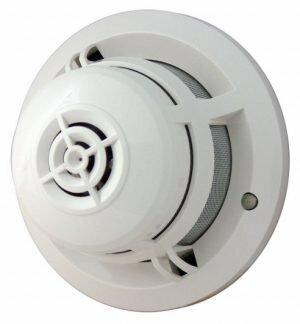 NOTIFIER’s wireless solution interfaces with intelligent fire systems to create a robust mesh network with UL listed Class A communication mesh protocol. 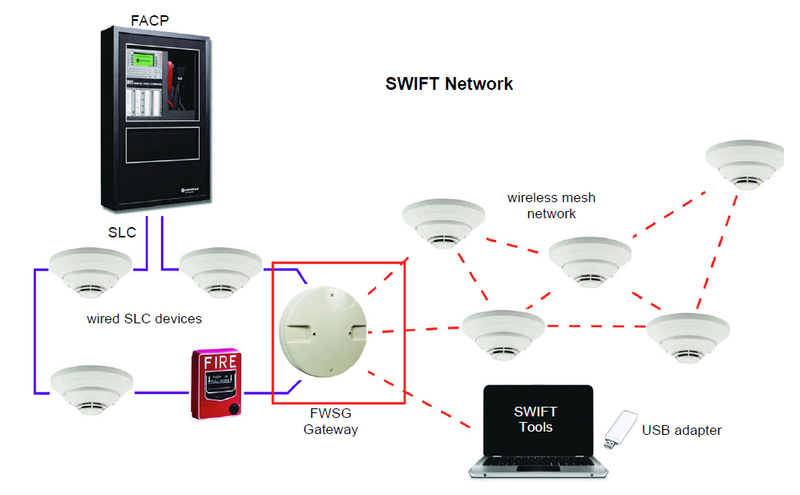 The SWIFT wireless system interfaces seamlessly with current ONYX fire alarm control panels, a wireless gateway (FWSG), and the wireless devices (detectors and module). SWIFT systems can be configured with simple tools, but the optional SWIFT TOOLs software suite can be used with the W-USB radio/antenna on a Windows laptop to provide detailed information on site survey, mesh formation, and system diagnostics. SWIFT detectors report sensing values to the panel, so that FlashScan advanced detection features are fully used. Detector sensitivity can be adjusted at the panel, and features such as cooperative detection may be applied. In addition, compatible ONYX panels report unique wireless events on the panel display, such as low battery trouble. Each SWIFT wireless mesh can support up to 50 devices (one gateway and up to 49 wireless devices). Multiple gateways can be installed on a single ONYX panel, or on multiple panels in the same area. The number of gateway systems is limited by the address capacity of the panel, and a maximum of four gateway systems in the same wireless space. In cases where repeaters are required to establish a robust system, a monitor module or any SWIFT device may be used to extend the reliable range of the mesh without imposing premium cost penalties typical of competitive systems. 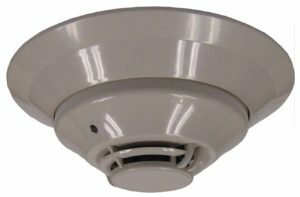 A unique proprietary spread spectrum frequency hopping cascading wave wireless mesh protocol has been optimized for the needs of life safety systems, with Class A operation that uses multiple communication paths for every message, and robust self-healing capabilities that can adapt to changing building environments. 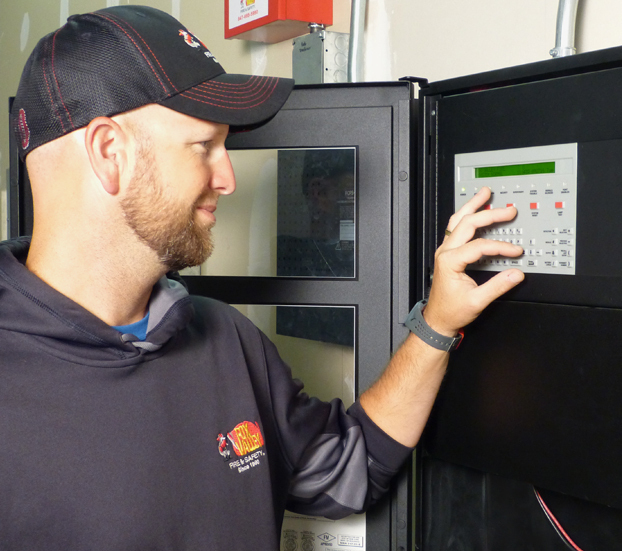 The SWIFT system was designed with maintenance in mind. 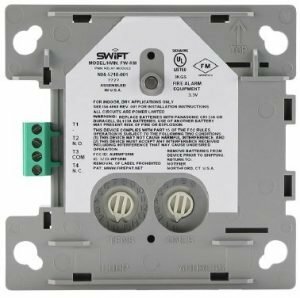 SWIFT devices use familiar code wheel addressing that fits with the wired intelligent devices on the system. Each SWIFT wireless device is powered by four CR123A lithium batteries for an expected two plus years of operation. (Currently UL listed for one year of operation, with further testing scheduled). SWIFT TOOLS provides detailed information on the operation of a SWIFT mesh network, including battery strength, signal strength for each link, system snapshots, and detailed history reports, providing technical support with the information needed to build and maintain healthy wireless systems. 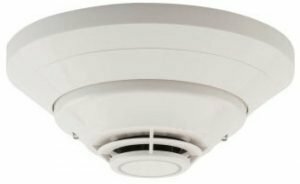 FWSG: FlashScan Wireless SWIFT Gateway – 1 SWIFT Gateway is required for each wireless mesh, and supports up to 49 SWIFT detectors or modules. Connects to the SLC loop of a compatible panel using FlashScan protocol. Power may be supplied by the SLC circuit or via an optional 24VDC input. NOTE: Use of the 24VDC input may be more convenient for service as it allows for powering down a gateway without shutting down an SLC loop. FWD-200P: FlashScan intelligent, wireless photo detector. Requires one B210W base for installation. Requires (4) CR-123A batteries (included). 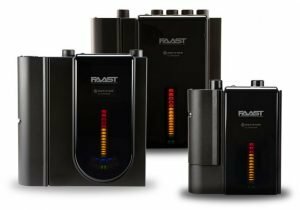 FWD-200ACCLIMATE: FlashScan intelligent wireless Acclimate® heat and photo detector using combined heat and smoke sensor information and the ability to automatically adjust sensitivity based on ambient changes in the environment. Requires one B210W base for installation. Requires (4) CR 123A batteries (included). 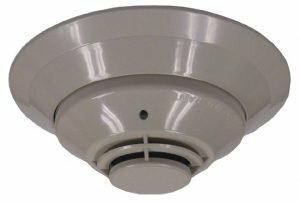 FWH-200ROR135: FlashScan intelligent wireless rate of rise (135°) heat detector. Requires one B210W base for installation. Requires (4) CR-123A batteries (included). FWH-200FIX135: FlashScan intelligent wireless fixed-temperature (135°) heat detector. Requires one B210W base for installation. Requires (4) CR-123A batteries (included). FW-MM: FlashScan wireless monitor module. Used to monitor devices with mechanical contact actuation. Includes a special cover with a tamper magnet built in. Recommended for installation in a SMB500 box (ordered separately) rather than a metal backbox for best performance. Ships with 4 Panasonic CR123A or 4 Duracell DL123A batteries. (See data sheet for more information). FW-RM: Wireless relay module for use with the FWSG wireless gateway. Includes a special cover with a tamper mag-net built in. Recommended for installation in an SMB500 box (ordered separately) rather than a metal backbox for best performance. Ships with 4 Panasonic CR123A or 4 Duracell DL123A batteries. 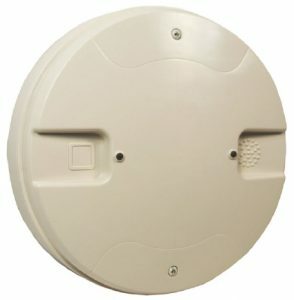 B210W: Detector base used for wireless detectors. Includes a built-in magnet so that wireless devices can establish installed and tampered states. FW-PTOOL: SWIFT Tools programming and diagnostic utility. Free download from notifier.esd.com. For installation on a (typically laptop) PC running an approved version of Windows (See Minimum System Requirements for SWIFT Tools). Requires the W-USB radio/antenna dongle for communication with SWIFT Wireless devices. NOTE: SWIFT Tools is intended for use with NOTIFIER branded products and can also be used with Fire-Lite branded wireless products. It will not work with other brands. W-USB: Wireless USB radio/antenna dongle that plugs into the USB port of a PC running SWIFT Tools. The W-USB provides a communication link with SWIFT Wireless devices that are within approximately 20 feet and have not formed a mesh. Alternately, when the devices have formed a mesh, bringing the PC/W-USB within range (20 ft.) of the gateway for that mesh will allow SWIFT Tools to acquire information on all devices in that mesh, including point-to-point signal strength for all links.